Bradoc Data Management is your 30+ year old healthcare technology partner. 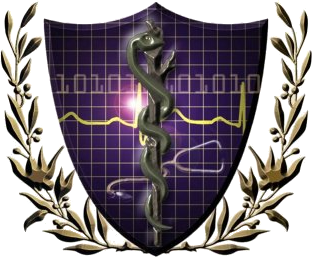 The company was formed by a team of meritorious medical doctors and healthcare-focused CPAs with the goal to provide technology-driven quality healthcare services and ensure that the clinics and hospitals continued to grow, remain profitable and compliant to all the healthcare-related governmental regulations. Bradoc offers a wide spectrum of technology products and business services including complete, customized, clinic & cashflow-friendly Practice Management Technology, fully-certified EMR platform with ICD-10 functionality, industry-leading telemedicine technology and a suite of operations services for clinics including Outsourced Billing Services (OBS). We take pride in calling the state of North Dakota our home. Being local we are ideally poised to provide you with a great customer experience including extending onsite support. For the past three decades, Bradoc has been honored to serve some of the finest and most profitable clinics and hospitals in our region. We are very proud that our partnership contributed to their success and we continue to look toward to being an integral part of their future growth. In 2014, in order to better serve our clients with newer technologies with enhanced functionalities, Bradoc became a subsidiary of Fargo-based, SNAPS Holding Company. SNAPS - Committed to Bradoc's next-gen growth and building our clients' confidence for delivering customized healthcare technology solution services. SNAPS owns a portfolio of hi-tech companies in the areas of IT infrastructure, cloud and mobile ecosystem, telemedicine, network and communication solution services. Its cutting-edge software engineering expertise, project management experience and contacts within the healthcare industry is an asset in building our clients’ growth and enhancing their operational efficiencies. Using SNAPS’s deep IT resources, Bradoc will make great strides in developing and delivering next-generation products and solution offerings. Drawing from SNAPS business acumen, Bradoc is ideally positioned to offer a suite of business operational services to our clients allowing them to focus on quality care while we take care of your technological, operational workflow and revenue cycle management needs.